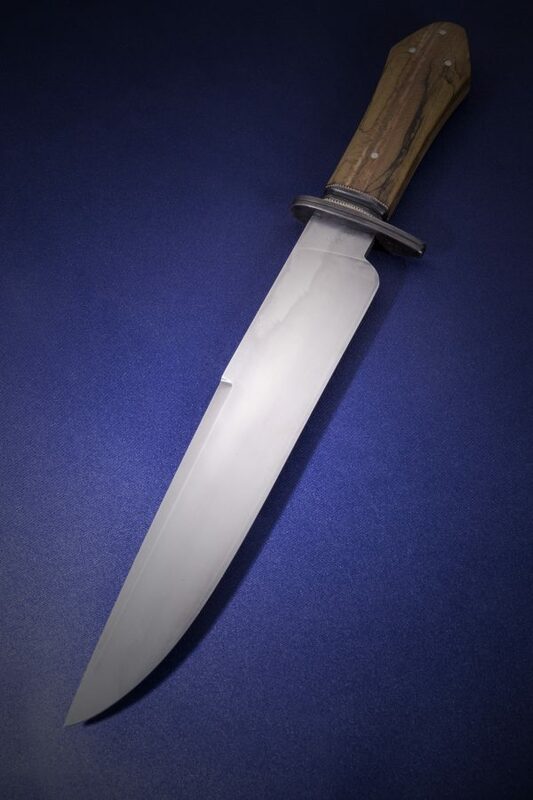 Back in September 2017, Texas passed a law legalizing the carry of certain knives that used to be illegal, including the Bowie knife. To commemorate the legalization of the iconic bowie, Knife Rights recruited me to make a knife for Texas Governor Greg Abbott. 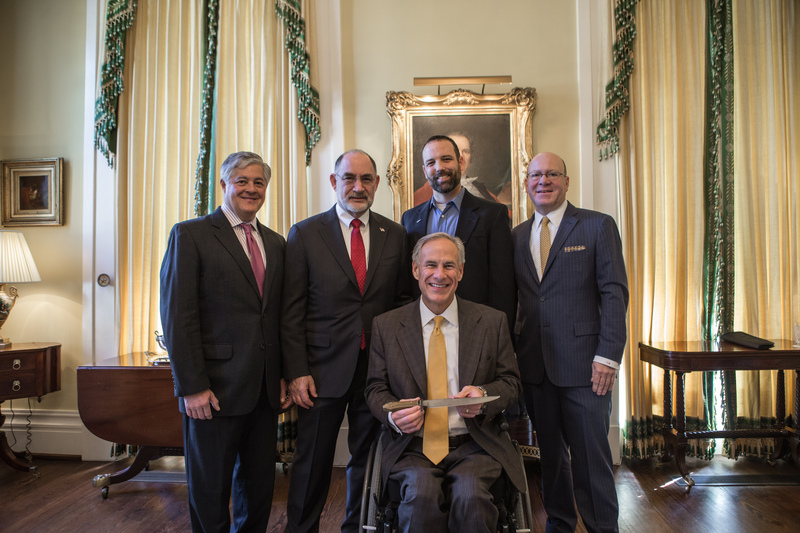 Doug Ritter, Knife Rights Chairman, and Todd Rathner, Knife Rights’ Director of Legislative Affairs, were in Austin, Texas, in January 2018 to celebrate last year’s enactment of HB 1935. That bill eliminated from Texas statute the prohibition against carrying “illegal knives,” including throwing knives, daggers, dirks, stilettos, poniards, swords, spears and most notably, Bowie knives, as well as blades over 5.5 inches except in a few locations https://kniferights.org/knife-rights-texas-hb-1935-bottom-line/. The celebration was originally scheduled to be held last September at The Alamo, but tragically, Hurricane Harvey intervened. 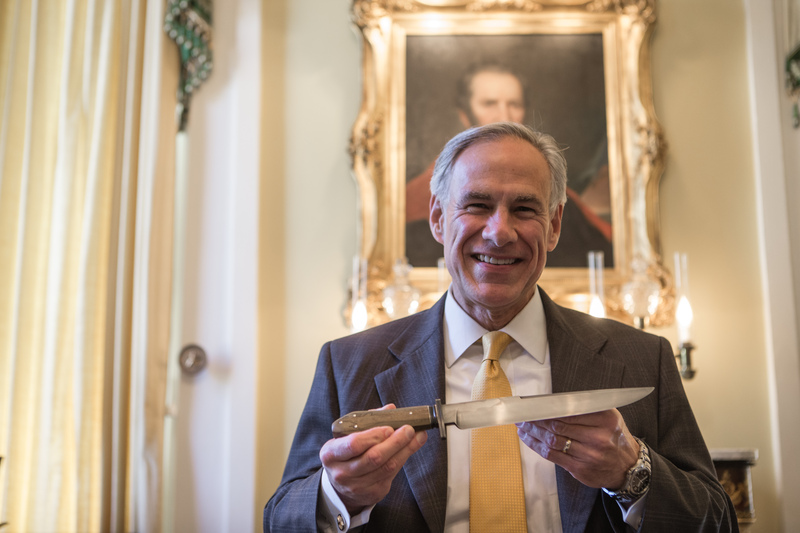 To commemorate the legalization of the iconic bowie, Knife Rights recruited me to make a knife for Texas Governor Greg Abbott. 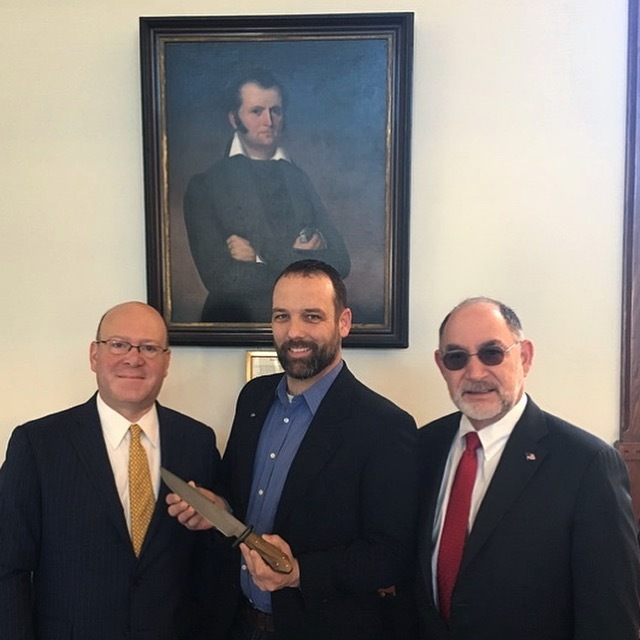 We had the honor of being invited to the Texas Governor’s Mansion to present Governor Greg Abbott with a very special Texas Heritage Bowie forged by Texas Knifemakers’ Guild President Jason Fry, a sixth generation Texan, who generously donated his efforts. Gov. Abbott was great, very personable, that smile is certainly genuine. And here we are in the House of Representatives Chamber of the Texas Capitol posing in front of the historic portrait of Jim Bowie, hero of the Alamo, whose eponymous knife was finally made legal to carry in Texas by the enactment of HB 1935. Since this was a bowie, going to the governor of Texas, to be delivered at the Alamo, by a Texas knifemaker, I went with a collection of Texas historical materials. 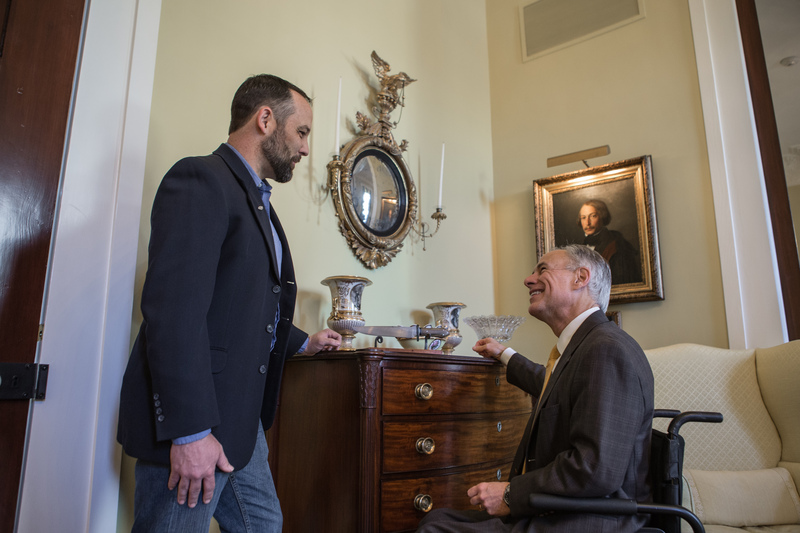 Because of the governor aspect, many different people had a part in this project. The handle is sycamore wood, spalted, from the grounds of the Texas Capitol building in Austin. My brother was friends in college with a guy who worked grounds crew and brought the wood home as firewood. It was ultimately dyed and stabilized by Terry Dunn, of LaVernia, TX.